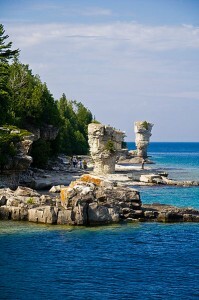 It seems like around every corner, Canada reveals hidden treasures – on Georgian Bay in Ontario, visitors can journey to an island of unusual beauty, and have plenty of adventures along the way. 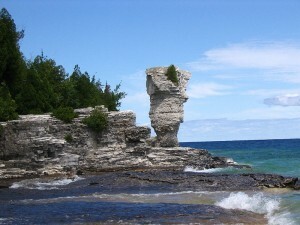 The sandy shores of Georgian Bay, part of the broad Great Lake of Huron shared between Canada and the United States, are one of Ontario’s most popular summer destinations. 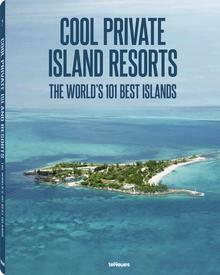 Scattered across this vast wilderness are charming port towns, scenic cliffs and caves, white-sand beaches, and of course, a multitude of thickly forested islands, each with its own unique character. Stretching for more than 100km, the Bruce Peninsula, a rocky outcropping of the ancient Canadian Shield, has a sleepy rural atmosphere; it starts with the bustling city of Owen Sound to the south, ending with the laid-back village of Tobermory at the far northern tip; and out into the bay, a strange and wonderful island within a 10-minute boat ride. During the harsh Canadian winters, the area is blanketed with a thick layer of snow, periodically buffeted by violent “squalls” that blow in from Lake Huron, leaving up to a metre of snow in their wake. Locals often travel via snowmobile, and exotic “dogsled” tours are offered to the few brave visitors. 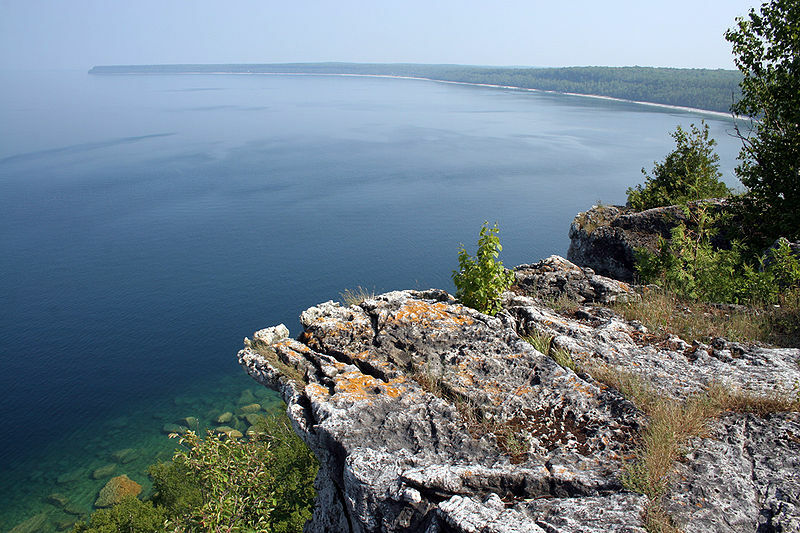 In the summer, however, the Bruce Peninsula is transformed into a warm-weather paradise of beach-goers, boaters, and nature-lovers. A favorite of tourists and locals alike is hiking the epic Bruce Trail, a winding, 750+ km footpath that begins with a waterfall near the Lake Ontario town of St. Catherines, a 2-hour drive from the start of the peninsula, and runs along the rocky spine of the Niagara Escarpment to Lake Huron. The path to the tip of the peninsula can be as simple as a drive past rustic farms and uncharted forests, or, for more adventurous souls, include some of the fascinating stops along the way. Some of the most gorgeous beaches in Canada are found here; the 11-mile powder sand Sauble Beach, at the southern part of the peninsula, is the world’s second-longest freshwater beach and a popular party area; further north, the more peaceful Singing Sands is another perfect spot to lay a towel. Part of a national park, the beach is surrounded by a wildlife preserve where rare orchids flourish, and visitors can wander out more than half a kilometre into the water on pure rippled sand before getting their shorts wet. The name comes from the eerie sound made by the wind as it carves through the shoreline dunes. Small portside towns like Lion’s Head, well worth a detour from the highway, have picturesque lighthouses below their sheer cliffs. The Bruce was first inhabited by European settlers in the early 19th century, and a plethora of these beacons were needed to warn mariners of the coastline’s rocky shores. Even still, old shipwrecks are scattered offshore, now visited by thrill-seeking scuba divers. Another excellent scuba spot is hidden along a trail within a national park – known widely as the “Grotto,” this clear-water sea cave is rimmed with rugged stone walls, leading out onto a small white beach. 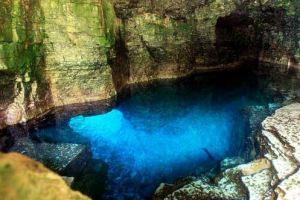 From the highway, the Grotto is a half-hour hike through the Bruce Trail – well worth the effort to visit an unexpected piece of the Mediterranean in Ontario. Twenty more minutes or so down the highway from the Grotto exit, the edge of the peninsula comes into focus. The entrance to Tobermory greets visitors with a parade of bait shops, eclectic boutiques, and signs advertising local cruises and ferries. 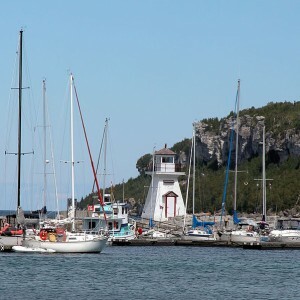 At the harbour, the town’s full charms are displayed; the sheltered cove of the marina is surrounded by a boardwalk, edged with art galleries, cafes, and souvenir shops. On pleasant weekends, it’s filled with a diverse group of tourists, but the town is unpretentious and accommodations are limited to small bed-and-breakfasts or simple motels. This, to some, is part of its appeal; a more democratic alternative to the luxurious resorts and Michelin-starred restaurants found northward in elite Muskoka. And here, at Tobermory’s harbour, is the gateway to Flowerpot Island. Several tour operators offer meandering boat trips to this small and pretty isle; famous for its giant rock pillars carved over millennia by the wind and waves, and so large that mature trees grow out of cracks in their layered stone. 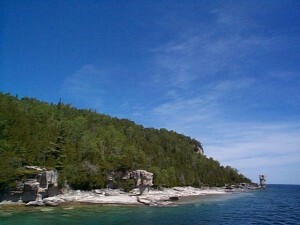 Part of Fathom Five National Park, white beaches, hiking trails, cliff diving sites are all waiting to be explored. Campsites are available for overnight stays, but there are few other amenities, so visitors are advised to pack well for their adventure. And the island has a romantic side, too; a Romeo and Juliet-style indigenous myth adds to the mystery of Flowerpot. Two ardent lovers from warring tribes were said to have eloped to the island, once thought to have been the domain of evil spirits. When search parties were sent out, they found no trace of the couple – but for the profile of a proud young warrior, etched into one of the towering “flowerpots,” and still visible today.